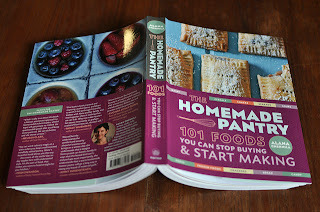 Last night I fell in love with the cookbook/ inspiring how to guide “The Homemade Pantry” by Alana Cherlina. I came home from the most grueling 30 mile bike ride I had ever done, ate everything I could find in the kitchen, and settled down on the couch with this book. Even though part of my new obsession with it is that I was still slightly hungry and all of the pictures feature delicious foods, the pure practicality and usefulness of the cookbook is what really stole my heart. “The Homemade Pantry” includes 101 foods that most people eat regularly that you can easily make instead of buy. Cherlina’s entire philosophy is to make everything you can because it tastes better, is better for you, cheaper, and decreases the chemicals you ingest and the amount of packaging you consume. But at the same time she insists that you have to be realistic and just do what you can. 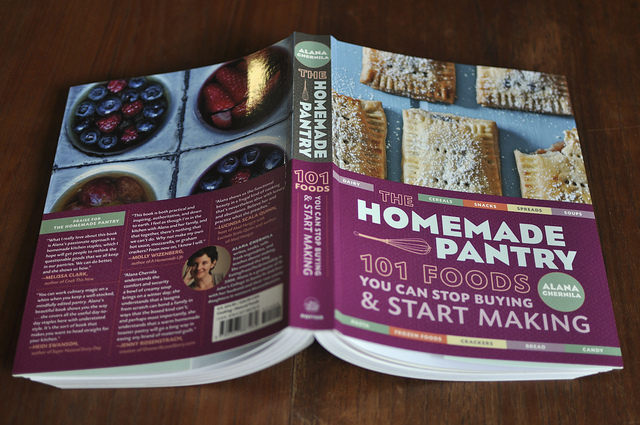 I can’t wait to make the delicious pastries on the front of the book, the snacks I can pack in my lunch like homemade granola bars, and replace some of my own staples like instant oatmeal and granola with these tasty recipes.